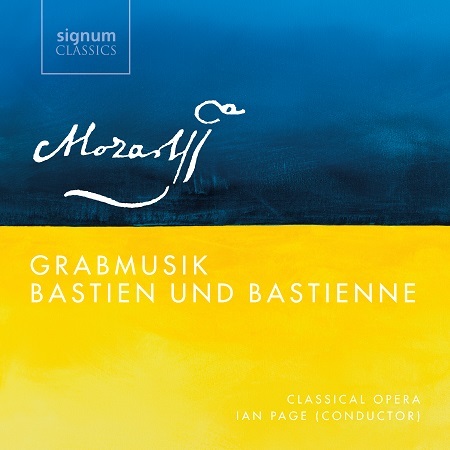 In what was almost certainly the first live UK performance of Haydn’s Applausus Cantata (Jubilaeum Virtutis Palatium, Hob XXIVa:6), the Mozartists (the concert-performing wing of Classical Opera) opened the 2018 season of their ambitious Mozart 250 project. This started in 2015, the 250th anniversary of Mozart’s visit to London where, incidentally, he stayed not far from the Cadogan Hall in Ebury Street, and wrote his first symphony, aged 8. The aim is to annually explore the music written by Mozart and his contemporaries exactly 250 years previously. It is when you hear music from composers like Niccolò Jommelli (1714-74) that you realise just how deep the musical well is, if you peep behind the wall of well-known composers. Writing in that fascinating limbo period between the Baroque and Classical era, Jommelli perhaps completed too many operas for posterity to master. Il Vologeso is one of his best-known works and, on the strength of this performance by Classical Opera Company (giving the UK premiere), deserves to be heard more, and in a full staging rather than this concert performance. This was another part of their MOZART 250 project, aimed at exploring the works of Mozart and his contemporaries on the anniversary of their composition – which, in the case of Il Vologeso, was on 11 February 1766, in the enormous theatre at the Duke of Württemberg’s Ludwigsburg Palace near Stuttgart. Classical Opera launched their ambitious ‘Mozart 250’ project with a ‘Mozart in London’ Festival weekend of events at Milton Court. The 250 of the project’s title refers to the years since Mozart’s childhood visit to London (23 April 1764), during which he composed his first significant works. The plan is to “follow the chronological trajectory of Mozart’s life, works and influences”, culminating in 2041, the 250th anniversary of Mozart’s death. The weekend included talks, discussions and concerts over a three-day period. I attended the events on Saturday 21 February, starting with the discussion on Mozart in London between Cliff Eisen, Ian Page, David Vickers and Andrew McGregor. The first of the two Saturday concerts was ‘Capricious Lovers’, a look at English opera at the time of Mozart’s visit. Extracts from six operas (performed between 2 November 1764 and 15 February 1765) gave a fascinating insight into London musical life over this very brief period. The first half concentrated on works given in Drury Lane, with George Rush’s The Capricious Lovers, Michael Arne & Jonathan Battishill’s Almena and William Bates’. Pharnaces. The second half focussed on Covent Garden, with Thomas Arne’s The Guardian Outwitted, Thomas Arne’s Artaxerxes and the pasticcio Maid of the Mill. Under the baton of Ian Page, sopranos Rebecca Bottone & Sarah-Jane Brandon, mezzo Samantha Price and tenor Robert Murray were joined by The Orchestra of Classical Opera in a well-chosen range of arias, duets, trios, together with overtures from Capricious Lovers and The Guardian Outwitted. The highlight was the delightful duet ‘O dolly, I part / with a hole in my heart’ from The Guardian Outwitted sung by a coquettish Rebecca Bottone & Robert Murray. Drury Lane and Covent Garden were the two London theatres licensed to stage plays and operas in English – the reserve for Italian opera was the King’s Theatre, Haymarket. Under the title of ‘An Exotic and Irrational Entertainment’, the evening concert looked at the music performed there between 24 November 1764 and May 1765. Alongside J.C.Bach’s Adriano in Siria and Mattia Vento’s Demofoonte, we heard extracts from the pasticcio operas Ezio, Berenice and Solimano, including pieces by Pescetti and Perez as well as Bach and Vento. As in the earlier Handel days, the King’s Theatre attracted some of the finest singers of the time. Sopranos Martene Grimson & Anna Devin and mezzo Samantha Price were the very impressive representatives of the original singers, soprano Teresa Scotti and the castrati Ferdinando Tenducci and Giovanni Manzuoli. It was immediately apparent that the Italian style came with harmonically and instrumentally richer accompaniments than their English cousins in the other place. This concert was preceded by a talk from Daniel Snowman on ‘A Night at the London Opera in Mozart’s London’, reflecting a rather different interpretation of the period and the life of the Mozart family than that expressed in the earlier discussion. This is an extraordinary project, not least for the length of programme through to 2041. On the basis of this one day, Ian Page and Classical Opera have set themselves an enterprising and important sequence of events, running through to 2041.